My web development tool of choice is WordPress, it simplifies setting up the website and is fully extensible with a multitude of themes & plugins that facilitate making a web design of your choice, in any area of your choice. WordPress now makes up in the area of %25 of the websites. Along with the plugins there are some excellent tools to keep your site safe and running smoothly. If you have problems help is close at hand, there are experts and highly proficient hobbyists ready to give you a hand. You can also hire a WordPress developer at a reasonable rate. I will be adding more about WordPress, web development and related subjects, so come back and visit to see what else I have to share with you. 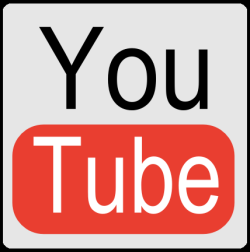 You can also visit my YouTube channel where I have some training videos for WordPress and will be adding more. WordPress web development is an easy way to get started with a website. It’s important to ensure that your site is secure, properly maintained and backed up. It takes time and effort to know what is required and keep on top of developments. Out source the security, maintenance and backups of your site so you can concentrate on developing the site that suits your business. I offer a complete WordPress support service. I provide security, maintain updates and regular backups of your site. I will maintain your site and provide the support you need for a small monthly fee. Click here for more information. I can help you design, build and launch your new website, a website that is fully interactive with video, text, images, blogs, a shopping cart and whatever else you want. Have a problem with your website or need some custom code or modifications, reach out for some assistance. 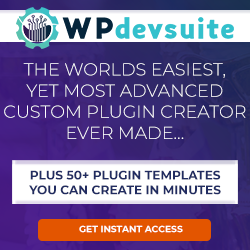 Check out my full line of custom WordPress Plugins. Is your site secure? I can secure your site and help keep you safe so you can concentrate in your content instead of fixing problems. Signup for my Web Development Support Plan and save money while getting quality support. Keep your support costs low, for a small signup fee and a monthly payment of $5, get support when you need it for only $20 per instance, no matter how complex the problem. Contact me for more information! I worked for 20 years as an Avionics technician, now I have major medical problems and on disability. I use my technical skills now to help with web development & web support. I provide support for WordPress, WordPress customization & custom plugin development. I have developed many DIVI sites and have many customizations.